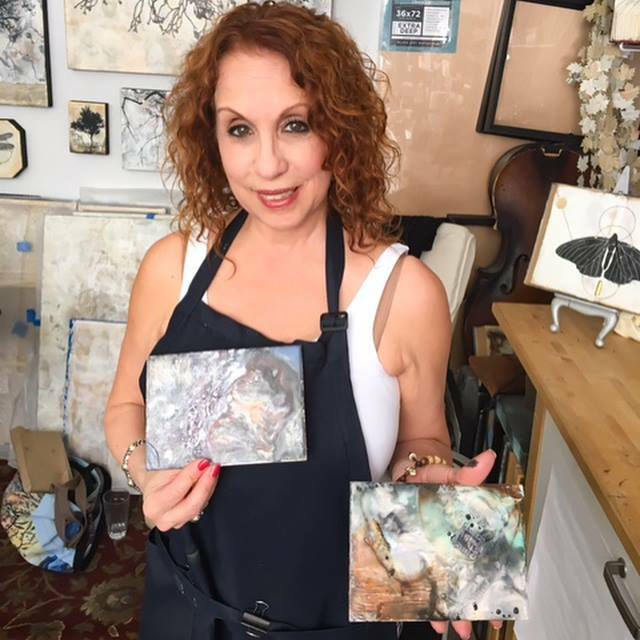 the experience that you already have with encaustic? Join me in my art studio in the heart of the Alberta Arts District in PDX. 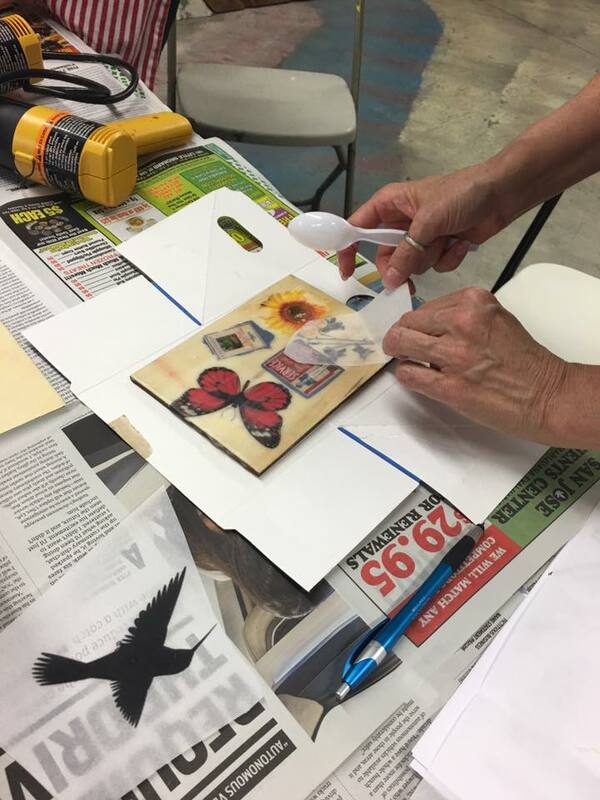 Whether you are a painter, photographer, sculptor, mixed media artist or just getting into art, encaustic is a wonderful and versatile medium to add to your practice. Each workshop is tailored to what you would like to learn. that can take your art to the next level. Looking for something a little shorter or longer? My hourly rate is $85 with a minimum of 2 hours. *If you would like to work on a piece 12x12 or larger, additional materials fee will be applied. Fill out the registration form to get the process started! My studio is in the heart of Portland’s Alberta Arts District. Just a short 2 min walk and you are on Alberta Street which is filled with amazing restaurants, galleries (Antler, Talon, and Guardino to name a few), boutiques, book stores, bars and more. Get your free Portland visitors guide here. Right next door, just steps away from my studio is a lovely Airbnb. You can check it out here for rates and availability. Other options for lodging include Kennedy School, a historic elementary school turned unique hotel as well as other Airbnb’s in the neighborhood. How do I register for a private workshop? Please fill out the registration form here. Once received I will contact you to create a personalize lesson plan, set up payment and a date and time for your workshop. What is your cancellation policy? I understand that there are unexpected emergencies and sickness. If you need to cancel you will receive a workshop credit that can be applied to a future workshop and can be used for yourself or another person. Credit must be used within 1 year. Where are workshops held? All workshops are held in my private art studio behind my home in Portland Oregon. I am just minutes away from Portland’s Alberta Arts District and just 15 min away from the PDX airport. Can I pay in installments? Yes, please contact me directly at shannon@shannonamidon.com to set up a payment plan. Do I have to have any prior experience with Encaustic? No experience necessary. I will teach you all of the basics, safety, set up etc. It is a medium like no other and even if you have painting experience encaustic will feel different. I already know how to use encaustic would this workshop be good for me? Absolutely, I also teach advance techniques along with my signature image transfer methods. It’s also a great way to pick up new or different ways of doing things and other tips and tricks. What is encaustic? 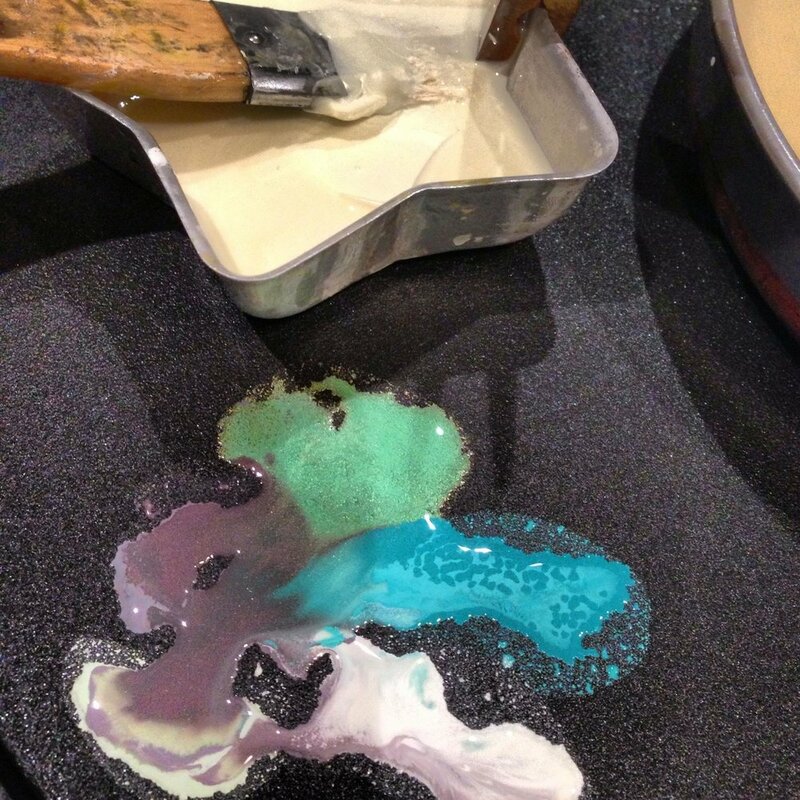 Encaustic is a Greek word meaning “to heat or burn in” (enkaustikos). Heat is used throughout the process, from melting the beeswax medium to fusing the layers of wax. Encaustic medium consists of natural bees wax and damar resin (crystallized tree sap). The medium can be used alone for its transparency or used pigmented. To learn more check out my Materials and Process page.